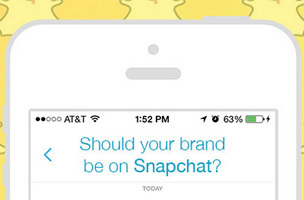 Take this quiz to determine whether or not Snapchat is a good fit for your brand. Lots of so-called experts will advise you to make sure you have a presence on every social network. However, the best marketers understand the art of getting in front of your target market. While Snapchat could be seen as a new frontier in marketing, not every brand is as well-suited for its demographic as Taco Bell.